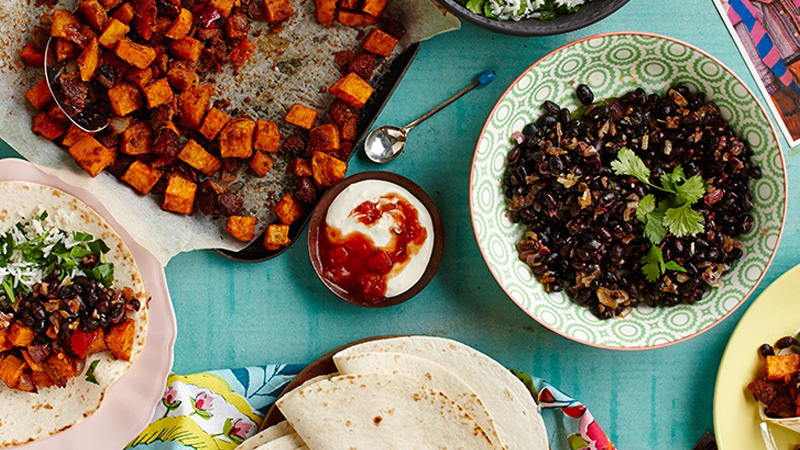 These Sweet Potato and Chorizo Burritos from Old El Paso™ are made with a simple Mexican recipe. 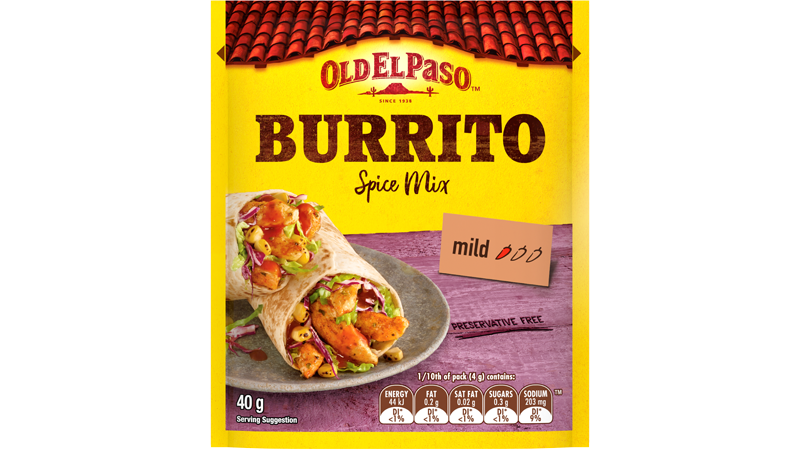 All you need is Old El Paso™ Tortillas, Burrito Spice Mix and Black Beans plus few fresh and you’ll have a delicious Mexican meal everyone will love! Preheat oven to 200˚C conventional (190˚C fan forced). Line an oven tray with baking paper. Toss sweet potatoes, onion, chorizo, garlic and red capsicum in olive oil and Burrito Spice Mix and bake for 30 – 35 minutes or until vegetables are golden brown. 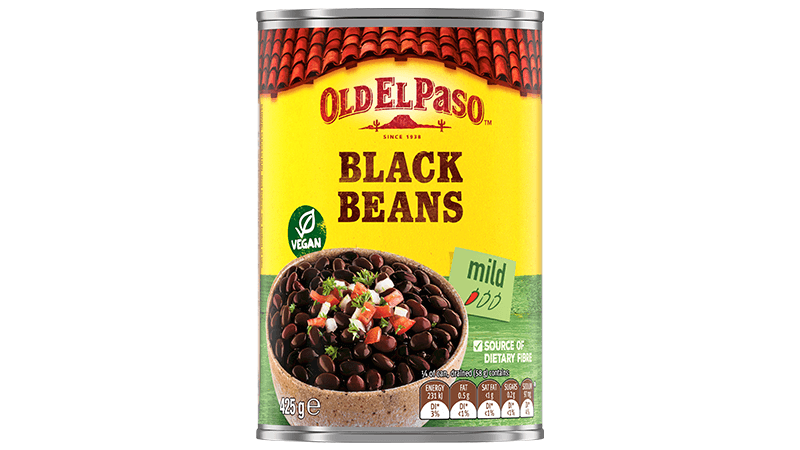 To make Mexican Black Bean Salsa: heat a little oil in a pan and cook garlic, onion, paprika and cumin over a medium heat or until onion is soft. Add black beans and juice of half a lime. Stir beans until well combined. To make Lime Coriander Rice: heat rice according to pack directions. Stir through juice of remaining ½ lime and coriander. 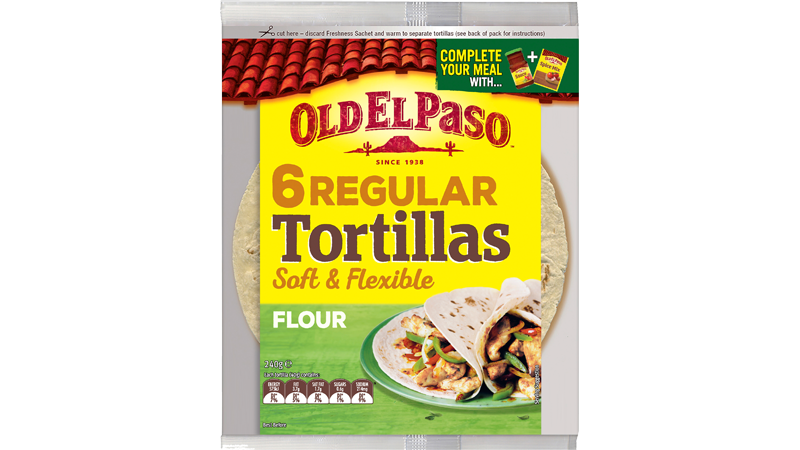 Fill toasted tortillas anyway you like with roasted sweet potato and chorizo, Mexican Black Bean Salsa and Lime Coriander Rice then fold to create a hearty Burrito!